Sr. Marita Ruppe, CSFN, was honored by the Diocese of Bridgeport, CT with the conferral of the St. Augustine Medal of Service on November 17 for her ministry as a volunteer teacher at St. Peter School, Danbury, CT.
Bishop Frank J. Caggiano presented the medals to more than 150 recipients during the prayer service at St. Augustine Cathedral. 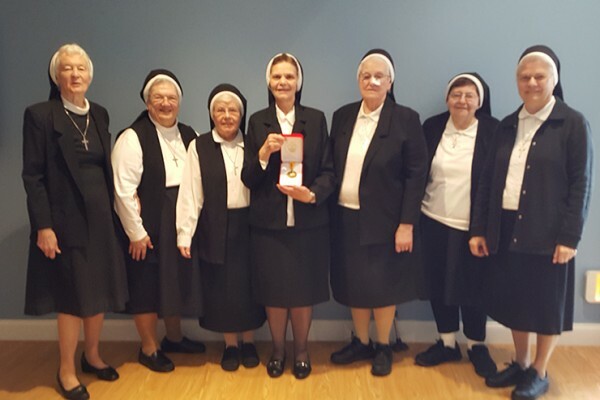 The Diocese began awarding the medals of service in 2005 “to recognize the ‘unsung heroes’ who unselfishly give of their time and talents to build up parish communities,” according to the Fairfield County Catholic newspaper. 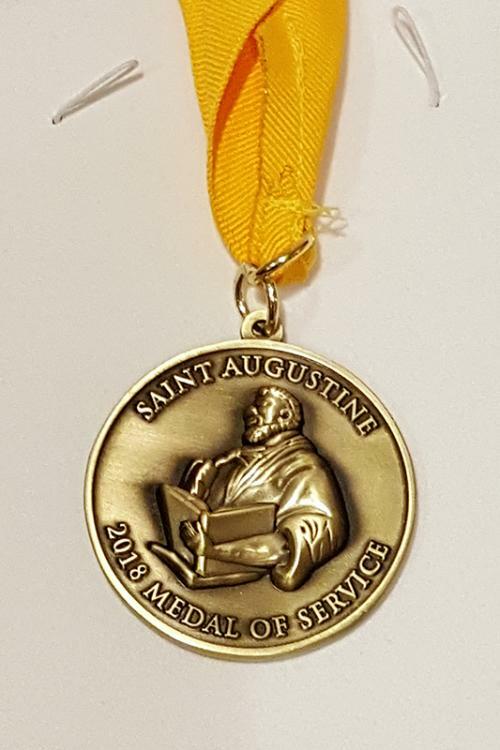 To read more about the ceremony and to see excerpts of Bishop Caggiano’s message to the recipients, please visit St. Augustine Medal Recipients Inspire Gratefulness.